A searing look at Communist East Germany in its final decade, The Tower reveals the intimate realities of life behind the Berlin Wall. Based on Uwe Tellkamp’s acclaimed novel The Tower: Tales from a Vanished Land, which won the 2008 German Book Prize and was heralded by Die Zeit as “one of the most important books of European post-War literature”, this riveting series introduces viewers to respected senior surgeon Richard Hoffmann, his wife Anne, their teenage son Christian, and their community of privileged intellectuals in suburban Dresden. Their story unfolds in 1982, when the cracks in the repressive police state’s façade are beginning to surface. Despite the restrictions, the educated few still enjoy some advantages under the system. The Hoffmans gather often with family and friends for warm dinner parties rich with derisive political banter, live classical music, and spirited discussions, holding out for a better future. But even as Richard has high hopes and strict demands for studious Christian, he hides a passionate double life and shocking secrets that come back to haunt him. Against this tense climate of fear and mistrust, with the secret police lurking ominously in the background, choices are made and actions taken that have devastating repercussions. 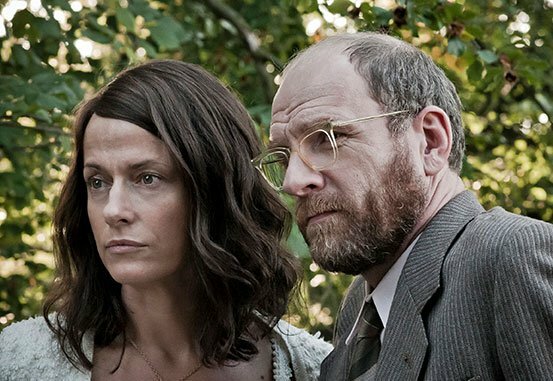 Starring Jan Josef Liefers (The Baader Meinhof Complex) and Claudia Michelsen (Fay Grim) in flawless performances, The Tower is an unflinching portrait of a pivotal time in modern German history. 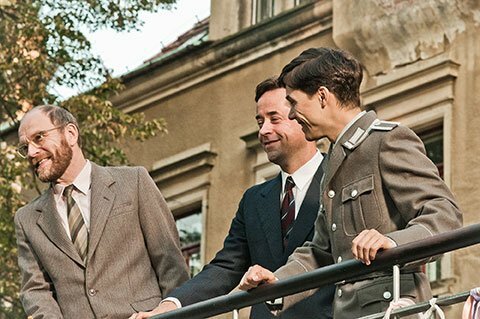 “A devastating German television mini-series about life in East Germany in the 1980s as experienced by a cultured family in suburban Dresden. A sweeping overview of a society that operates on fear, secrecy and duplicity. The Tower reminds us that the slogan “the personal is political” applies more than ever in a world where privacy has all but vanished, and any intrusion can be justified in the interests of security."